I'm normally pretty good at Christmas shopping. I find things I know my nearest and dearest would love, and I either buy them and squirrel them away or keep a list of links to the items in my inbox and purchase a few weeks before Christmas to avoid that nail biting "will it arrive in time" last minute dash. This also means I can avoid Christmas shopping on the high street, which really is my idea of hell. However this year I feel a bit like I've lost my present buying mojo!! I hadn't had any brainwave ideas, and to be honest, I was struggling a bit to come up with any. So I've sat down, and I've done my research, and finally I've got a list together that I thought I'd share with you in case you too are struggling. Some of my ideas, naturally, are food orientated, whilst others are just great gifts I think most people would be happy to receive. I've also popped a couple of recipe ideas below of things you can make for your loved ones that will keep beyond the Christmas period so they can enjoy once the over indulgence period has stopped! The truffle recipe makes THE most delicious boozy truffles, and are from an excellent Christmas baking day I recently did in the Miele showroom, whilst the salted caramel recipe is my own, but also inspired by the Miele day where we made their version of the caramel - though I still think mine's better, and is already something I put in Kilner jars and give to people for birthdays. In fact, the last person I gave it to ended up using it to make a sticky toffee pudding, which they said was the best they'd ever tasted. For the foodies/kitchen lovers in your life, I've recently become obsessed with crockery (I know, I'm old!!) 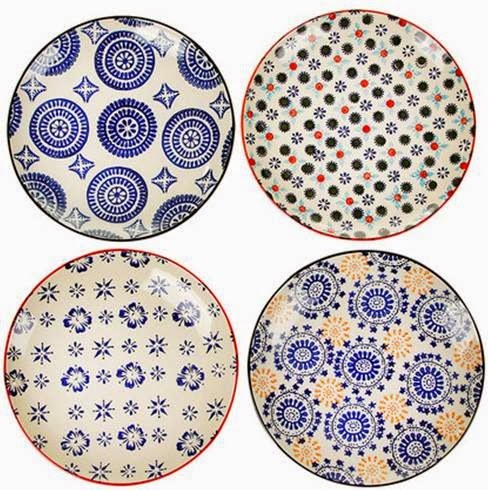 and found a wonderful website called Amara where I've been buying plates, cups, jugs and lots more from over the past few months, including these absolute beauties that I don't think any kitchen is complete without - Pols potten plates. I've also got the matching bowls, but if you order those beware that they are quite small! Another thing I've totally fallen for from Amara is this beautiful teapot - how cute is the little handle?! I can't get the picture to work, so click on the link to see it for yourself!! And while we're on food, here's the recipe for those truffles I mentioned. It's super easy, and as long as they're kept cool, the truffles will keep for a couple of weeks. Put a saucepan on the hob, and melt the butter in it. Remove from the heat and add the chopped chocolate, stir until all melted. Once melted add the ground almonds, raisins, cherries, rum and icing sugar. Stir and put the pan in the fridge until cool. Once cool take a teaspoon's worth of mixture and roll into a ball with your hands. Drop into a bowl of either chopped hazelnuts or desiccated coconut and stir until the ball is coated. Put on a plate and put back into the fridge until needed. You can then put all the truffles into a cellophane bag, tie with a ribbon and they're good to go as a lovely, edible gift! The next item is actually something I've asked for for myself. I absolutely love having blankets and throws round the house - I use them to make the bed, I add them to bedding when it's cold, wrap them round me when I pop out to the garden for sneaky cigarette, and I love snuggling up under a blanket on the sofa to watch the latest David Attenborough - I'd rather a snuggly blanket than a hot room! This looks like it's just the cosiest knitted quilt, and as it's from The White Company you know it's going to be great quality. To go with the snuggly blanket, here are some snuggly slippers. Made from real sheepskin these come in women's and men's styles/sizes so you can grab a pair for anyone. They look lovely and I bet they're super cosy too. I seem to get through a pair of slippers a year, because as soon as I get home off come the trainers/ballet shoes/biker boots and on go the slippers. I'd love to slip my feet into a pair of these. I don't know about you, but we have a ridiculous number of cables and plugs and chargers lying round our house but despite that my phone and the iPad seem to always be running out of battery. 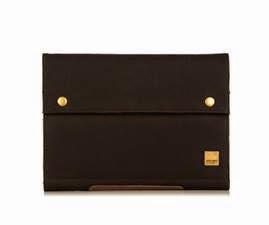 This next item is brilliant - it's an iPad cover with as many pockets and pouches as you could ever need and an inbuilt battery pack to charge your devices on the go. It's also really hardy and sleek enough to fit in a handbag/briefcase without being too bulky. This is another techie item that I actually bought as an early present for the boy before we went to Mauritius last week. It's a lifeproof phone cover that not only protects your phone if you drop it, but it's completely waterproof! We took it with us to Mauritius and it was such a hit - the boy filmed hours and hours of snorkelling and even got footage of us swimming with dolphins. I'd really recommend this is there's a traveller you want to give something special to. Another really special gift would be this wonderful whisky gift box. It's from Cardhu and includes a bottle of their delicious Cardhu Gold Reserve whisky, 2 whisky glasses, some whisky chocolate and a really nice fig scented Angela Flanders candle, the aromas of which match the taste of the whisky. I will be posting a blog next week with more information about Cardhu, as I went to a tasting with them recently and really enjoyed learning more about their whisky. If gift boxes are what you're after there's another great option from Bill's. 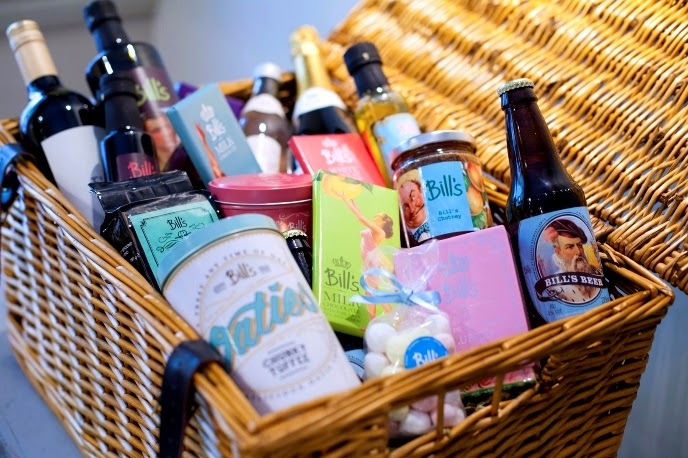 They've got Christmas hampers, which include jam, coffee, tea, biscuits, chocolates, olive oil, wine, bubbly, marc de champagne truffles and lots more, depending on which wicker hamper you choose - they range from £50-100. They're also doing Christmas gift boxes, which include teapots, afternoon treats, truffles and Panettone. Last on my list are a couple of great foodie items. The first is a discounted Tastecard. If you don't know about Tastecard then you should definitely find out about them, especially if you eat out a lot. They offer up to 50% off 1000s of restaurants - both chains and independents, and they're doing a December offer on annual membership for £30!! You could get that back after using it just once. The perfect gift for those who like to eat out. Use code JINGLE14 to get yours. Finally the best treat you could give someone - vouchers for Grub Club! Gift someone these and they can pick a night out, dining in someone's home, in a clocktower or eating food created by a Michelin star chef. You can choose the amount you want to give here. Melt the butter in a saucepan over a low-medium heat. Once melted add the dark brown sugar, 2 teaspoons of sea salt and the heavy/thick double cream Whisk until all combined and increase the heat to medium. Let it gently bubble for 5 minutes, whisking it once a minute. Remove from the heat, add the vanilla extract and 2 more teaspoons of salt, whisking vigorously. Check the taste and add more salt if needed. The sauce will thicken while it cools so don't worry if it looks a little runny at this stage. Leave to cool slightly, then pour in to sterilised kilner jars and seal. [To sterilise your kilner jars wash them in the dishwasher]. You can add pretty labels to the jars and give to your nearest and dearest. Eat on toast, add to puddings, stir into crème fraiche, dollop on ice cream or get a spoon and tuck in! Happy Christmas and thank you for reading my blog :) !! There's something so lovely about homemade presents, last year I spent about 2 days making them - they were very much appreciated though. This year my dad said he wanted "something I'd made" for Christmas, and I felt I was 10 again!! haha! Thanks Rosana! Are you making anything as presents this year?